Matthew Swanson, Princeton. 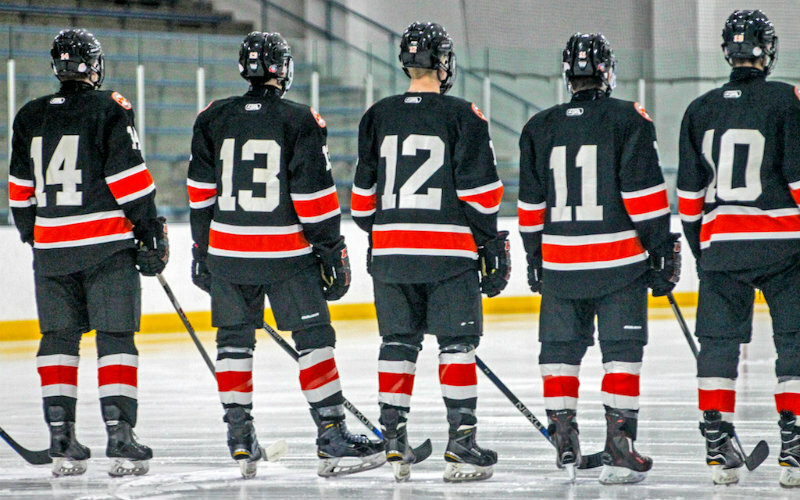 The senior forward led the Tigers offense in a 7-5 win over Sauk Rapids-Rice, scoring twice and adding four assists — one short-handed and two on the power play. Cole Bright, Sartell-St. Stephen. The senior goaltender's first shutout of the season came at a perfect time, with the Sabres' one goal enough to take the win over Alexandria. Bright made 33 saves in the 1-0 win. Gunner Ferrier, Lake of the Woods. In the Bears' 7-4 win against Ely, the junior defenseman had his second four-point game (four goals) of the season — the same team his previous four-point game (3 goals, 1 assist) came against just two weeks prior. Jackson Fuller, Bloomington Kennedy. The senior forward recorded a point on all six of the Eagles' goals (three goals, three assists) in a 6-3 win over Simley — his first multi-goal game of the season. Wes Gervais, St. Thomas Academy. The only blemish on the stat sheet of the senior goaltender's 42-save effort against Rosemount was a late third-period goal, as the Cadets won 3-1. Matthew Gleason, Cretin-Derham Hall. After assisting on the Raiders' first goal, the junior forward produced two goals when his team needed it most — first with 41 seconds left in the third trailing by a goal, then again 28 seconds left with the game-winner. The Raiders defeated East Ridge 4-3. Nathan Hadley, Anoka. Despite a 5-0 Tornadoes' loss to Blaine, the senior goalie posted a .926 save percentage and stopped 63 shots — tied for 13th most in Minnesota State High School League history. Dalton Saltness, Forest Lake. Saltness had his second consecutive six-point game — the previous an 8-6 loss to Grand Rapids six nights before — in a 10-2 win over Chisago Lakes. All of the senior forward's points were goals, including one on the power play. Saltness is tied for sixth in the state with 18 goals. Spencer Schneider, Lakeville North. The senior forward tallied three points in a 4-3 overtime win over Farmington. Schneider scored the first Panthers' goal on the team's second power-play opportunity and added an assist a few minutes later. Schneider's final point was the game-winning goal 5 minutes, 18 seconds into overtime. Zack Simon, Orono. The junior forward tallied two points in the first period (one goal, one assist) before adding a short-handed goal early in the third period. Simon then assisted on the game-winner in overtime as the Spartans defeated Greenway 5-4. *Stats and records as of Jan. 6.